When it comes to complex problems of data and technology, Dr. Amir Gandomi turns to evolutionary algorithms that are inspired by natural processes, like mutation and reproduction. 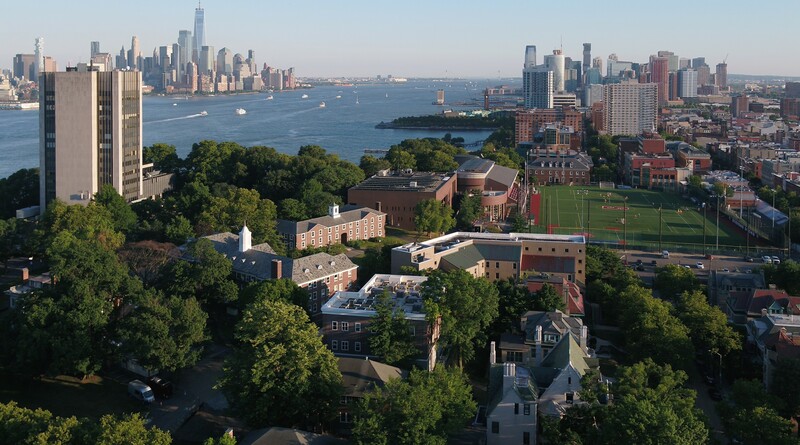 One passion that unites researchers at the School of Business at Stevens Institute of Technology is conducting research that creates meaningful impact in the real world. Dr. Amir H. Gandomi takes it one step further — looking for especially complex problems and seeking creative solutions to the biggest challenges in data science and optimization. And his knack for using unconventional algorithms to solve problems across a range of industries has prepared him for some early research successes. “I’ve collaborated with engineers and business people, on topics from bankruptcy to civil engineering, so I feel I can create impact in almost any industry where they could not solve their problems with regular algorithms,” he said. Dr. Gandomi uses what’s called evolutionary computation to solve problems in which the complexity is so great that traditional mathematical and statistical algorithms are either insufficient or require so much computing power as to be impractical. In these cases, he’s found success using evolutionary algorithms inspired by the natural world, such as reproduction, recombination and mutation. Research at the Stevens School of Business is largely organized around the ways technology and the analytics revolution are creating seismic changes in industry, from processes governing workflows, to management of supply chains, to customer engagement and interaction. A major subset of Stevens research concerns decision analytics and the study and application of data. Faculty breakthroughs at Stevens have changed how managers think about their vulnerability to fake online reviews, and how machines and professionals can collaborate to perform creative tasks. A recognized data science expert, Dr. Gandomi first started experimenting with evolutionary computation while pursuing his master’s degree. “I was trying to solve an inverse problem with mathematical algorithms, but I wasn’t able to get a solution,” Dr. Gandomi said. “So I started digging into these evolutionary algorithms I’d heard about briefly in one of my courses. The first algorithm I tried, called genetic programming, seemed very interesting and has some exceptional features.” After about a decade, the University of Birmingham (UK) ranks his genetic programming bibliography among the top 20 in the world. Dr. Gandomi’s research is already starting to attract attention. Clarivate Analytics named him among its Highly Cited Researchers in 2017, as his citation record rank was among the top 1 percent in his field, per Clarivate’s Web of Science data. He has published more than 130 journal papers, several conference papers and four books, which collectively have been cited more than 8,500 times. He also has served as associate editor, editor and guest editor in several prestigious journals. The foundation for his research success, he said, goes back to his time at the National Science Foundation’s BEACON Center, at Michigan State University, where he served as a distinguished research fellow. There, he said, he was given the freedom to work on different kinds of problems — particularly those requiring creative use of algorithms. It was good preparation for coming to the School of Business, which he joined in the fall of 2017.